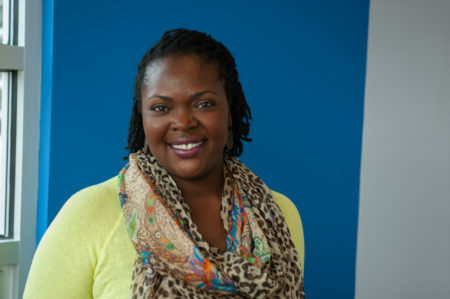 LaRica Grant, a former student at Manor College, is the President and CEO of Jackie’s House, non-profit organization in Philadelphia started by Grant in 2010. The mission of Jackie’s House is to assist young adults who have aged out of the foster care system in creating a better future for themselves. In most cases, the young adults involved with Jackie’s House are homeless. At the age of 18, if young adults in foster care are not placed in permanent homes, they will age out of the system. “The likelihood of a young adult returning to their original home is rare, and if they do, it is usually not a stable environment,” explains Grant. The first priority of Jackie’s House is to help young adults find a legal way to earn money to be able to afford rent for their own apartment. Grant is currently working with three young adults through Jackie’s House. Moving forward, Grant will have workshops to train young adults on repairing computers and iPhone screens. Grant also has plans to connect with a former co-worker to put together a presentation on entrepreneurial skills. “I want to show these young adults that once you change your mind and you become determined to get the life you want, it’s easy. It’s just a mental fight you have to win,” said Grant. In a moment of reflection, Grant mentions how a critical thinking course she took as a student at Manor sparked her love for learning. She explains that before this point, she wasn’t the best student. She said that in the beginning of her college career, basketball and friends were her top concerns. Having experience her own transformation academically and professionally during her college years, Grant knows first-hand the type of growth determined young adults are capable of. As Jackie’s House develops, Grant looks forward to incorporating college admissions information into the program. 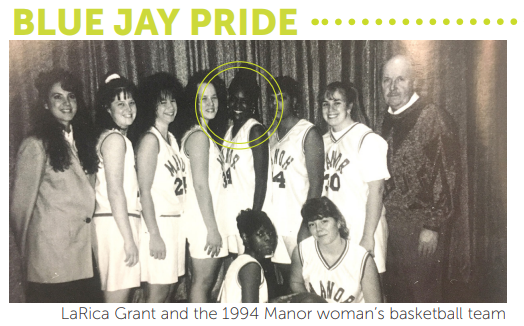 Grant said she would like to connect with Manor College. She acknowledges that the small, personalized feel of Manor’s campus is the perfect type of setting for her students. The future for Jackie’s House looks bright. Grant accepts a challenge and never looks at a fork in the road as a stopping point, but rather a work-around. Grant hopes that one day Jackie’s House will be known as one of the top service providers in Philadelphia for youth who have aged out of the foster care system. It is our mission to provide these young adults with skills that have to do with longevity– whether they are first-time business orders or if they are going to be first-generation college graduates,” said Grant.